The historic Four Sixes Ranch, founded by Samuel Burk Burnett in Guthrie, TX, will be receiving and installing a Quanah Parker Trail Arrow made and installed by Charles A. Smith. When: Wednesday May 4, 2016, 11:00 a.m. The QPT Arrow received the approval of Mrs. Marion of the Burnett family; 6666 Ranch Manager Joe Leathers; and Dr. Glenn Blodgett, manager of the 6666 Horse Division. 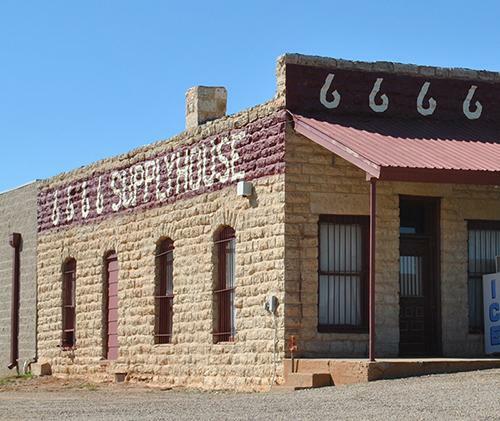 * The historical status of the area, noted by both Quanah Parker and an elderly Comanche woman to a Dallas Morning News Reporter interviewing them at the 666 Ranch in 1905, that the site where the ranch and Guthrie stand today was once a favorite Comanche camp site. Quanah told the reporter he remembered as a young boy passing through the country on an old Indian trail that led by two mountain peaks located one mile south of Guthrie, on the South Fork of the Big Wichita River. These double knobs can still be seen in 6666 pasture land today by travelers passing north/south on US Hwy 83, and east/west on US Hwy 82/114. * Most important, this arrow will symbolize the significant association between the Four Sixes Ranch founder Samuel Burk Burnett and Quanah Parker. The close friendship that evolved between the two men had its beginnings in a pragmatic business deal. In 1885, Quanah began lease negotiations with Burnett that would permit the "Big Five" Texas cattlemen -- S. B. Burnett, D. W. Waggoner, E. C. Suggs, J. P. Addington and C. T. Herring -- to graze their cattle in the "Big Pasture" just north of the Red River in Comanche/Kiowa reservation lands. Quanah continued to negotiate leases with the Big Five from 1885 to 1906. In return, Burnett assisted Quanah with financing and constructing the Star House in Cache, OK.
Over the years, the two men participated in public events together and shared hospitality at one another's residences. By the time of Quanah's death in 1911, each man had acknowledged the other as a close and respected friend. 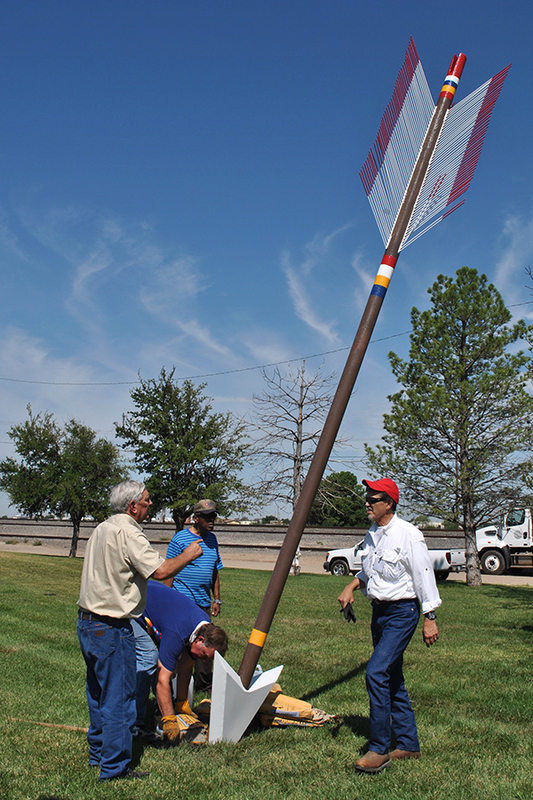 The public is welcome to come to the Four Sixes Wed., May 4 at 11:00 am to watch the installation of the arrow marker.